These strategic forest and wildlife research themes have been described, including their indicative actions and associated outputs. Cambodia is located in Southeast Asia, bordering Vietnam, Laos and Thailand, and has a total land area of 1,811035 square kilometers. The country’s population grew from around 9 million in the 1960s to around 14 million in 2006 . Approximately 80 percent of the country’s inhabitants live in rural areas with limited access to electricity and seasonal food shortages. Cambodia is one of the poorest countries in Southeast Asia , with around 2-3 million people currently living in cities (14-21% of the total). In addition, 37 percent of the rural population lives below the poverty line of less than 50 US cents per day and more than half live on less than US$1 a day. The forests are one of Cambodia’s most significant natural resources for environmental protection, economic development and poverty reduction. It covers a total area of 59% of the country. Eighty five percent (85%) of the population lives in rural areas, the majority of which, depend on agriculture and forest resources for their livelihoods. Local communities collect timbers and non-timber products such as fuel-woods, traditional medicines, bamboos and rattans, fruits, vegetables, and meats from the forest. Furthermore, forests are paramount in conserving soil, regulating water regime, provision of potable water and sustaining the irrigation system. The forest of Cambodia is also home to globally important species. It is estimated that Cambodia hosts 806 globally threatened species, including 26 critically endangered species, 36 endangered and 51 vulnerable species. About 423 species are largely forest or forest-dependent species – including 9 critically endangered species, 9 endangered species and 23 vulnerable species. The forest cover in Cambodia is classified into 5 main types, namely: evergreen forest, semi-evergreen forest, deciduous forest, other forest (includes re-growth forest, stunted forests, mangrove forests, inundated forests, forest plantations, bamboo, rubber and oil palm plantation) and non-forest land. The forest resources are allocated into different uses, namely: production forest, protection forest, and conservation forest. Cambodia’s forests are rich in biodiversity and include forty-five habitats (FA, 2010). Unfortunately, the country’s forest resources decreased from 61.15 % in 2002 to 57.07 % of the total land area in 2010 (FA, 2011). This means that the total area of 740,502 ha of forest land has changed due to other uses. Chao (2009) reported that the contribution of forest subsector to agricultural sector from 2003 to 2008 was between 6.9% and 8.1%. And the highest contribution of the sector was in 2004 which accounted to 8.1% while its lowest contribution was in 2008 which accounted to only 6.9%. The forest sector is often confronted by the degradation and poverty in the rural areas, which need to be addressed through science and technology. Large areas of forest that are currently left unmanaged/ unattended are at high risk of forest degradation and conversion to other land uses. The forestry sector currently faces challenges in terms of finding suitable systems to support the implementation of national visions, and continuously pilot and develop new SFM schemes in order to scale up good practices. Forest-related researches are often undertaken by single independent research institutes and international NGOs, with support from development partners and international research fellows. These research results are rarely utilized by the FA during the formulation of new forest policies. There is a strong national need to improve collaboration and coordination between research organizations and government authorities in developing new strategies to implement SFM, alleviate poverty, and ensure environmental protection and economic development. In the forest management planning and monitoring process, the forest sector needs to collect relevant data, using appropriate scientific methodologies. The crucial part of the process is that the data gathered will be utilized through analysis and interpretation. Results will be articulated to managers and decision makers, both within and outside the FA, to improve forest management planning and monitoring of forest resource developments over time. Furthermore, protocols for transparency and information sharing need to be developed, and it will be necessary to come up with efficient communication strategies to inform and support policy makers, NGOs, local forest managers, and other stakeholders, as well as to publicize research information and extension materials, and to make them available to relevant stakeholders . 	Management of Forest Resources. The management of forest resources requires information and data base such as growth yield. Poor and inadequate data on growth and yield is yet a problem or issue that hinders science-based management planning of forest resources. Growth and yield of various products could help in yield predictions and resource management plans. This information, in turn, could form the basis of sustainable use strategies and also resource enhancement technologies. Research programs are needed to tackle these three constrains and to improve the practice of forest restoration. Environmental limitation on regeneration of commercial timber species is still an issue. Therefore, it important to find ways in which natural stands can be treated to enhance natural regeneration. It is clear that natural and artificial safeguarding methods, which involves the economy, society, and environment, in order to regenerate the forests are problems worthy for research. 	Forest Plantations Management. Forest plantations have been established since 1984 with the objectives for protection of environment and ensure the supply of woods. Until 2010, 11 locations for forest plantations have been established on formerly degraded natural forests. The total area under forest plantation is expected to increase significantly in the coming years as private sectors have been involved in tree planting programs. Both short-term, fast growing tree species and long-term, indigenous species have been planted. However, the fast-growing exotic species have dominated the forest plantations of Cambodia. There are many issues related to the forest plantations, such as the economic benefits or the establishment of forest plantations, silvicultural treatments for priority tree species, growth increment and diversification of forest products from the plantations. It is widely accepted that tree planters do not have access to quality seeds/planting materials. Increasing the access of tree planters to improve planting materials and ensuring better functioning of tree seed and seedling supply systems is of priority for the tree planting sub-sector. The social issues related to forest plantations, such as the impacts of forest plantations on socio-economic and cultural values of local communities, the partnership of the government and private sectors with local communities in establishment of forest plantations are of priority areas for research interests. 	Biodiversity Conservation. Cambodia is one of the biodiversity hot spot in Southeast Asia. A high percentage of its total land area (21%) has been designated for conservation purposes (ICEM, 2003). However, with the rapid decline of forested areas, the number of plants and animals are declining. For example, in 2009, 31 plant species in Cambodia are listed in the IUCN Red List as critically endangered (9), endangered (13) and vulnerable (9) (IUCN, 2009). Some of the important tree species, such as Afzeliaxylocarpa and Dalbergiacochinchinensis, are classified as endangered in their natural habitats (FLD et al., 2006). There is a limited knowledge on the distribution, habitat, ecology, taxonomy, etc. of fauna and flora of Cambodia. 	Community Forestry. The majority of rural Cambodian depends on access to natural forests for non-timber forest products, such as fuel wood, construction materials, traditional medicines and foods. Currently, about 400,000 ha of natural forests around the country have been allocated under the management of local communities living in or adjacent to the forests. The number of community forest is expected to increase in the near future. The increasing demand for forest products, due to the ever-increasing population, coupled with decreasing of forest lands has led to the increased pressure on the remaining natural forests and consequently seriously affected livelihoods of local communities. The need is for developing appropriate extension packages to motivate and promote participation of local community in the forestry programs aiming at diversifying forest products through social/community forestry or practice of agro-forestry system. Agro-forestry means to incorporate trees on farms as natural forests have shrunk. Some forms of agro-forestry systems have been practiced in Cambodia for thousands of years; however, this practice has not been adopted as a method to establish forest plantations. There are needs to look at security of land tenure and benefit sharing additional to improve agro-forestry systems to make them more productive, profitable and appropriate to local communities. 	Climate Change. Cambodia is one of the countries in the world that is highly affected by climate change. From year to year, there is increased variability in the amount of rainfall and extreme temperature. More frequent extreme events, such as prolonged drought and flooding will change ecosystems and speed up the degradation of soil and water resources. These events are exacerbated by the degradation of natural forests. Rural communities that rely on these resources will suffer mostly from the negative impacts of climate change. There is urgent need to find ways to improving the resilience of farming systems to climate variability. 	Forest Products Research. The forest research in Cambodia in general is at its infant stage, but the research in the forest product development is nonexistent. There is an emerging industry on NTFP’s processing, such as bamboos and rattans, for making furniture and souvenirs which have not captured research attention yet. In the timber industry, there is a lack of knowledge on proper timber species classification, efficient technology in wood processing and utilization of lesser-known species. Thus, Cambodia is expected to invest in value-addition technologies to maximize the economic gains from timber and non-timber resources. Research in favor of value-added processing or manufacturing is a crucial research area. 	Broadening and Deepening Research. IRD needs to review the NTFP and deepen and broaden its scope. There are emerging issues in Cambodian society which are increasingly urgent, but not historically addressed by IRD. There are also issues within the current IRD portfolio that need deeper attention. This is a challenge, yet, it is perceived as a necessity to respond to Cambodian realities. It will require some organizational adjustment, as well as renewed efforts at capacity building. Rolling internal capacity building courses are offered to staff on junior and senior researcher level respectively. Space will be made possible for key staff to develop their skills, and networking with competent/interesting research milieus will actively be sought. We also have the ambition to contribute to a growing Cambodian national research community. 	Improving Research Quality. The depth and quality research of IRD need to be enhanced. IRD is able to produce high‐quality research, and is well situated to define its own research agenda, in careful consultation with key stakeholders. Its ability to be a serious dialogue partner vis‐à‐vis international research as well as with Cambodian policy‐ and decision‐makers is increasing. 	Strengthening Impact of R&D and Technology. The dissemination of IRD’s research findings as of now, is not as efficient as the research itself. The quality, value and substance of IRD research and the competencies of its staff have not been fully utilized in policy influencing contexts. Although there are programs in place for both dissemination and international engagement, these need to be significantly enhanced, with an emphasis on the production and generation of both Khmer and English languages research products. In particular, a system of electronic papers and briefs will be offered through its homepage, with regular update bulletins on research activities and products. The Forestry Administration is struggling to meet the R&D needs considering it meager resources and capacity, in terms of manpower and facilities to carry out the R&D program. The number of IRD staff is still lacking while some staff have limited training and access to higher education. Despite the strong national need to improve collaboration and coordination between research organizations and government authorities in developing new strategies to implement SFM, alleviate poverty, and ensure environmental protection and economic development, forest R&D remain limited. Forest-related research is often undertaken by single independent research institutes and international NGOs, with support from development partners and international research fellows. Basic forest information is not readily available. To meet the objectives of the NFP, science-based research is needed (RGC. 2010).There is a strong national need to improve collaboration and coordination between research organizations and government institutions in developing new strategies for sustainable management of the forest, address poverty, ensure protection and conservation of environment, and achieve economic development. 	Develop and implement research plan at all levels and monitor the implementation of the forest research such as study on species abundance, the dynamic of forest and wildlife habitat, study on fauna, biodiversity, wildlife inventory and assessment of biodiversity by forest types. 	Study on eco-tourism opportunities, in relation to Cambodia’s forests, its integration into forest conservation and suitable systems for benefit-sharing between government and local communities. 	Research and development for timber and NTFP processing. b. Forest Law Enforcement and Governance: Develop training program for capacity building of FA staff regarding forest law enforcement and forest governance. 	Study on the use of NTFP’s, processing technology for value-added price with standardization of forest products, analyzing socio-economic status for alternative jobs in order to reduce the pressure on forest. 	Study on the incentive structure for forest product development and marketing. 	Simplified SFM systems (inventory, silviculture, growth rates, volume tables, reduced impact logging, NTFP’s, biodiversity monitoring & management, etc.). 	Analysis of wood, charcoal and NTFP flows, mapping and characterization of areas of pressures and opportunities (forest/plantations productivity vs. collection/harvesting). 	Marketing systems for local products. d. Climate Change: Study the effects of climate change on the forests and the role of forest in climate change mitigation. Study on potential areas for REDD Projects. 	Monitoring and assessment of environmental and socio-economic impact of the forestry project and development. 	Cost-benefit analysis comparisons with other land use/forest management alternatives. 	Study on incomes from environment services and forest carbon project/REDD. The Forestry Administration (FA) is the main agency mandated for the sustainable management of this crucial resource. The FA is responsible for the preparation of forest and wildlife inventory and to enact laws and regulations for the protection of forest resources. It also takes part in establishing measures for environmental protection and reforestation, forestry and wildlife research and managing the exploitation of forests. Forest reform is a major component of the Royal Government of Cambodia (RGC) rectangular strategy. Subsequently, IRD was established in 1999 under Forestry Administration of Ministry of Agriculture, Forestry and Fisheries. The function of IRD was further defined under the Sub Decree No. 188 and the National Forest Programme of Cambodia for 2010-2029. The Royal Government of Cambodia Sub Decree No 188 ANK/BK, approved on 14 November 2008: entitled “SUB-DECREE On Restructuring the General Directorate of Ministry to General Secretariat, Promoting the Forestry Administration, the Fishery Administration, to level with General Directorate, Promoting the Department of Agronomy and Agriculture Soil Improvement to General Directorate of Agriculture, And Restructuring General Directorate of Rubber Plantation to General Directorate of Rubber Under the Ministry of Agriculture, Forestry and Fisheries”, defines the mandate of the Forestry Administration. 1. To ensure sustainable forest management for social, economic and environmental benefits, including biodiversity conservation and cultural heritage. 2. To ensure sustainable management and development of the permanent forest estates, relevant to forestry sector, biodiversity, wildlife and its habitats. 4. To develop and implement programmes on research, protection, conservation of biodiversity, wildlife and their habitats and on forest resources development. 1. To manage and develop capacity of human resources, who are government staffs of the Forestry Administration in the whole country. 2. To study and collect data on all kinds of forests relevant to scientific, economic, social and environmental factors in purpose of determination of level of sustainable productive yield and forest services. 3. To study, evaluate, determine quantity of national forest carbon stock and to organize, execute and regulate Cambodia forest carbon trading and forest services for the purpose of increasing revenue for effective implementation and development of forest resource. 4. To develop capacity on scientific research and technique for processing wood and for use of forest products in a very effective way. 5. To increase the education and dissemination to local people through programs that show the importance in management, conservation and development of forest resources, take measures to rehabilitate the natural environment and maintain the national forest to be eternalized development. 6. To promote the international cooperation in order to contribute in strengthening the abilities in management and conservation, and eternalized and high-effectively develop forest resources wildlife and biodiversity. 1. To develop and implement the all level research planning and monitor and evaluate the implementation, to study and search forest base, to study the abundant species and change movement of forest vegetation for wildlife habitats, to study biology and bio-environment of wildlife and biodiversity, to survey and inventory all kind of wildlife and assess biodiversity within area in the important forest region. 2. To review and assess social impact and natural environment for the proposal of investment and development in the forest sector. 3. To research the important environmental factor within each environmental area, to monitor and assess the changes of environmental factors such as water circle, soil, weather related forest, to search scientific factors, selection and breeding of vegetation and wildlife, to research and experiment in order to develop the techniques of forest quality promotion, to organize the botanic garden and vegetation breeding provided beauty and good manner. 4. To research the identification and the utilization of timber and non-timber forest products, processing technology, and to increase the quality of price and standard of forest products, to analyze the socio-economic in job exchange to reduce the pressure on forest. 5. To improve the cooperation with development partners and international network of research on forest, wildlife and biodiversity as well as collect data compile and publish scientific documents resulted from research, and to do extension of implementation. 6. To study and establish stations of forest and biodiversity research within the region and important forest types. 7. To develop program and planning of capacity building and human resource development for Forestry Administration and forest development. 8. 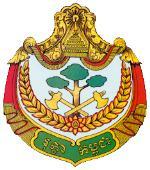 To perform the various duties, provided by chief of Forestry Administration. There are also several universities involve with forestry course and research including the University of Agriculture, PrekLeab Agricultural school, and Kampong Cham Agricultural School. These institutions also have research programmes which are mostly done by the students for their thesis requirement. Forest research has been identified as an important component in sustainable forest management in Cambodia. The National forest programme (RGC, 2010) had taken into account in capacity and research programme by enhancing forestry research capacities and strengthening applied research to support the implementation of forest policies, plans and programmes. Research and capacity development is one of the areas identified under NFP Sub-Programme 5. The main objective of programme related to research is to develop research capacity of the FA, colleges, universities and independent non-government research organizations to provide reliable and independent information to support the development and implementation of forest policies and national goals on SFM, environmental protection and poverty reduction.In 2011, IRD has worked with some partners such as Korea Forest Service, JICA, ADB, Danida, RECOFTC, APFNet, Kyushu University. Vision:To ensure sustainable natural resources management through enhancing research and capacity building in research to all stakeholders (RIFWD, 2012). Mission:To Enhance capacity building on science both theory and practice in forestry sector for sustainable forest management. Goal:Forest Research Strategy is to provide relevant information and timely support to sustainable forest and wildlife management through development of appropriate forest practices and technologies in addition to supporting NFP implementation. 9. To support mainstreaming of SFM at local and national levels. The concrete action of the objectives is reflected as specific R&D activities in the succeeding section. 	Growth modeling of priority tree species. 	Silvicultural treatments in various forest conditions. 	Volume equation construction of priority tree species. 	Forest classification and Typing in accordance with its function. 	Forest inventory to collect base information for management. The need for forest restoration and rehabilitation is recognized by the Royal Government of Cambodia and has mandated the FA to carryout this task in collaboration with other development partners and local authorities including local communities who are the main beneficiaries. The FA to enhance the role in providing products and services such as improving soil fertility, erosion prevention, flood and drought reduction, storm reduction, air pollution reduction and water regime regulation. In addition, forests provide foods, medicine, construction materials, fuelwood and daily consumption for local communities. Hence, forest restoration provides not only forest products but also support sustainability for agricultural sector which is a core career for the majority of local livelihood. To restorethe benefits from forest, forest restoration/rehabilitation must be taken place. 	Selection of framework tree species for forest restoration. 	Effect of forest degradation on livelihood or local communities are addressed and documented. 	Suitable/framework species are found and they are the priorities for forest restoration. 	Technical Note on Forest Restoration is established and documented. In recent decades, the remaining natural forests are under pressure to provide the wood supply for the country. Other sources of wood and timber supply come from the forest plantations. More plantation forests are needed to be established to reduce the pressure on the natural forests. The forest plantations will substitute the raw materials coming from the natural forest on a sustainable basis. Plantation development in Cambodia can succeed if various constraints are overcome. These factors include identification of suitable or sites (thru species-site matching and species trial), management of pests and diseases, development of seed technology (seed quality and seed storage), nursery and silvicultural techniques (plantation establishment, fertilization and stand maintenance). The economic and financial viability of the plantation also needs to be considered. 	Establish and observe natural seed cast and phenology of selected species. 	Introduce the biotechnology in seedling propagation. 	Conduct species and provenance trials. 	Determine cost-effective weeding/tending methods and for other nursery and plantation technology. 	Conduct studies on seed storage, viability and pretreatment. 	Test different potting mixtures for raising seedling. 	Develop control methods for pests and diseases of nursery and plantation. 	Experiment on the effects of growing trees in farmers’ fields as means of crop diversification and increase income. 	Economic benefits of plantations of fast-growing or indigenous tree species. 	Initiate tree improvement and tree breeding of selected species. 	Established demonstration research trials on identification of suitable species, selected species mixture trials for plantations and developed cost effective weed control and tending methods for plantation. 	Improved seed provenance and nursery practices. 	Documented techniques improved for high-value timber species in the nurseries. 	Cost-benefit analysis evaluated for different management regimes of plantations. 	Volume functions for forest plantation trees species. 	Growth projection systems of forest plantation for main trees species. 	Documented methodologies and procedures for pests and diseases control. Deforestation and forest degradation has threatened the habitats that could lead to extinction of the remaining endemic flora and fauna of Cambodia.Agriculture land and expansion of human settlements has converted considerable forest lands. Researches are needed to address the habitat requirements, ecology, status, distribution and threats on vulnerable/endangered species of plant and wildlife. There is also a need to study about ecosystem and their interaction to better understand the dynamics of the forest ecosystem. 	Ecology, status, distribution and threats of plants and wildlife. 	Taxonomy studies and collection of specimens. 	Forest ecosystem and biodiversity studies. 	Tree species in Cambodia are documented. 	Main endangered species of fauna and flora are documented. 	Wildlife and plants species conservation and management techniques are developed. 	Ecosystem and its dynamics are well-understood. 	Conservation strategies are made. Community Forestry is the management of forest by giving the right to local people living adjacent the forests. As stewards of the forest, they can protect and conserve, and use the forest products. Community Forestry gained prominence as an effective approach of reducing poverty among the forest-dependent communities in many countries. R&D is still needed in Cambodia to make the pro-poor approach to forest governance work. 	Impacts of community forestry system on socio-economic and culture. 	Local livelihood improvement strategy due to the research findings. 	Community forestry and agro-forestry systems for concession areas developed, introduced and documented. 	Identified and establish species trials for multipurpose trees suitable for community. 	Non-timber forest products utilized by communities for both consumption and trade are documented. Climate change now becomes a global issue and top priority of many governments.Empirical evidence is mounting to show that climate change and its effect is real. Developing countries are considered to be very vulnerable.Developing countries is to protect and conserve the forest ecosystem through REDDD+, an innovative market mechanism that trades carbon credits. Being a new market mechanism, the uptake of REDD+ among the communities is slow and challenging. Moreover, there is a need to understand about climate change to increase the adaptive capacity of the vulnerable sectors and to reduce risks. 	Model for calculation of Carbon stock in different forest types and in different land uses. 	Carbon stock in different tree species under plantations and natural conditions. 	Effect of climate change on human, plants and wildlife. 	Adaptation strategy of agricultural system to respond to climate change. 	Increased use of trees on farms to intensify, diversify and buffer farming systems, thereby safeguarding smallholders’ livelihoods. 	Effects of Climate change on livelihoods of local communities, and adaptation strategies. 	Study on potential areas for REDD Projects. 	Study the effects of climate change on the forests and the role of forest in climate change mitigation. 	Permanent sample plots are located and data are collected, analyzed, and reported. 	Models for calculation of Carbon stock in different forest types are made. 	Carbon in different land uses are known and documented. 	Techniques on enhancement of carbon sink is done and documented. 	Effects of climate change on human, plants, and animals are addressed. 	Adaptation and mitigation strategies are produced and updated. Wood technology research is vital to the forestry/wood industry sector. Forest products R&D improve the efficiency of the utilization of the forest products.In Cambodia, the utilization of raw wood materials is still low by international standards. The R&D needs to be focused on improving the utilization, through use of improved technologies in sawmilling as well as by other wood processing industries and the utilization of potential lesser-known-species (LKS).In addition to wood production and technology, development of NTFP products is also needed that could benefit the local communities. The entry of tradition NTFP products to the market is very promising. These products include honey, bamboo, rattan, mulva nut, which could supply to both, domestic and international markets. Mulva nut have been popular for domestic and international markets. Recently, various organizations supported the entry of the NTFP products such as rattan and honey to the market.R&D on value adding is needed to increase its benefits to the incomes of the rural communities. By improving the quality of the raw material and final product, we can maximize the benefits of the forest products and NTFPs for both domestic market and international market. Due to current personnel and capacity constraints of IRD, it is important that young scientists should be initiated into forest research by mentoring, structured training sessions and encouraged to disseminate their findings thru publications and fora. For the long-term strategy, the IRD is to recruit new staff with knowledge of English language through the Ministry of Agriculture, Forestry and Fisheries. The newly-recruited staff should be trained in research methodologies or provided opportunities to work with research projects supervised by experienced staff. Young foresters, with strong commitment on research, may be sent overseas to avail post-graduate studies. As the world faces new challenges, such as climate changes, frequent training courses should be provided to staff since they are not equipped with appropriate knowledge to tackle the new challenges. For the short-term strategy, the shortage of human resources can be overcome by contracting new graduates (1-2 years period). There should be a clear plan to develop human resource, both short term and long term, in the IRD based on research priority.It is worthy to have research advisory Committee to offer technical advice to junior staff members. The Committee should meet at least twice a year. However, some members could also have direct support roles to individual researchers. IRD can only address the research agenda sufficiently if the participation of scientific talent and experience from within and outside the Forestry Administration, both national and international institutions. Extension of wider collaboration with international research institutions will secure the source of funding and improving research capability of the project staff. Collaboration with these agencies also ensures that the IRD has international supports and a sound foundation based on which to build a forest research programs achievable within capacity constraints. Indications are that several academic and natural resource management institutions in Cambodia are keen to collaborate and share the human resources and facilities that are scattered in various institutions. To make that happen, collaborating institutions should design memorandum of understanding to guide their relationships and their work. 11.	opportunities and international research funds. 	Involvement of FA staff and independent research organizations in lectures for MSc forestry and environment students.